Same rules apply as with the traditional game we all played as kids except now YOU are the player in this life size game! Great for school events, family picnics, team building and fundraisers! Fun for all ages, no contact, just move side/side with your teammate. Up to 18 players can play at one time. 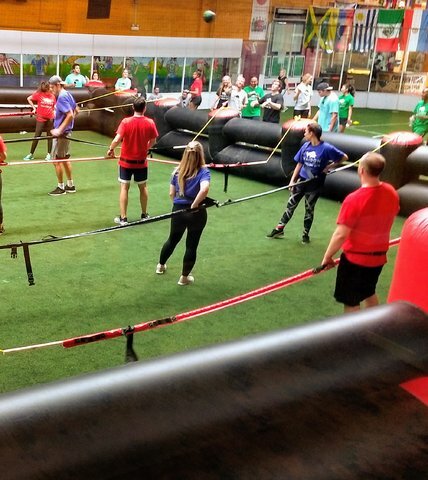 Add on Knockerball for even more action!